Y’all…before your read on. Look at my outfit, can you guess what is thrifted & what isn’t? Can you guess the outfit total? 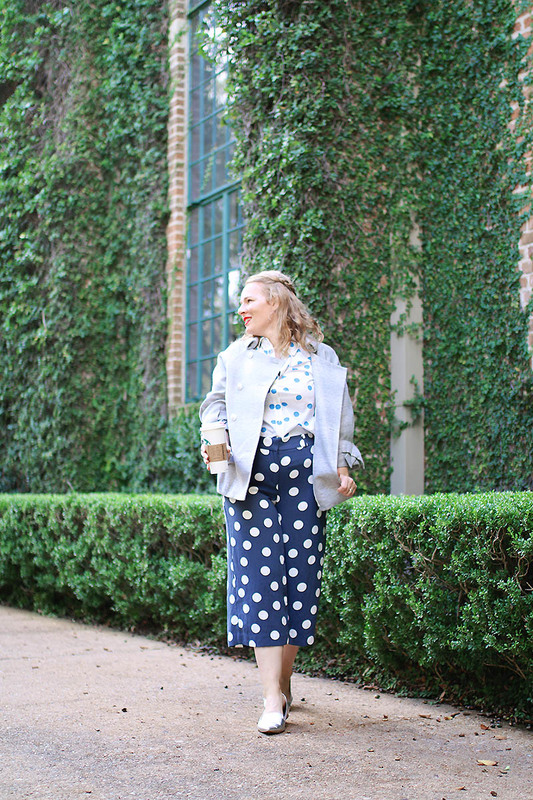 I usually like comparing my thrifted outfits prices to a cup of coffee, a good meal out or a bougie dinner out…but today I’ll just tell you I save around 98% off my outfit’s retail cost!! This beautiful jacket was one of my recent thrift finds & is 3.1. Philim Lim!! I was shocked when I saw that not only was it not overpriced…but it had been sitting in the thrift store for a while because it had been marked down farther!!! SCORE!! The break down of the full outfit prices versus the retail price are at the bottom of the post…just wait til you see it. It’ll make you wanna run to your nearest thrift store ASAP! Oh my GAWD! I am so impressed! My best score was a Dior nightgown. You might have me beat. Lots of classic pieces to be found. Love a good bargain. Absolutely adore that jacket! Such a good find! That is my kind of jacket; I’ll take one in every color please! I love the different polka dots colors. The outfit looks amazing on you. Wish people would save their hard earned money and utilize thrift stores more. No way, I really need to start checking out my local thrift store. Ive been a small handful of times, though once I found a gorgeous burgundy velvet bikini with real metal vintage victorian style accents for only $15 at a thrift store near Beverly Hills while on vacation. I guess I always thought I would have to go to a super expensive neighborhood to find cute things…maybe Ive been wrong all this time. It is a giant thrill to score a find. Lot the look. Great Deal. I’m always on the hunt to find a great deal. 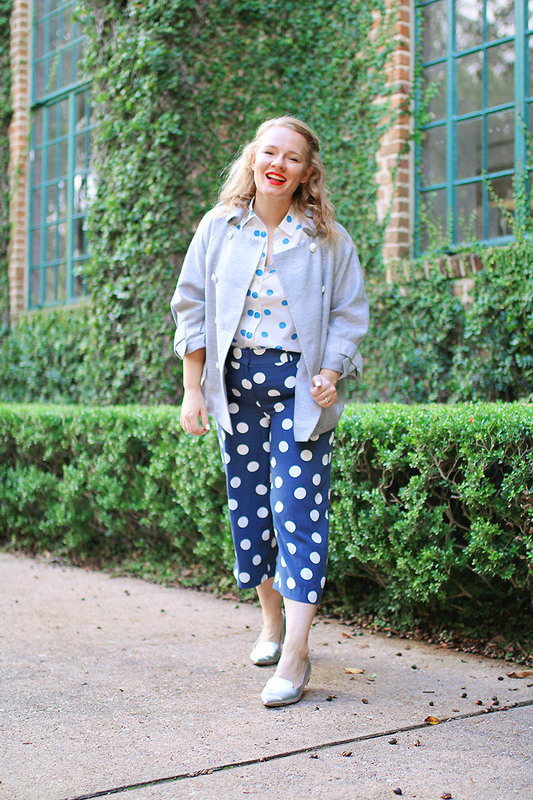 Polka dots are so fun!! Those are some great finds! I love finding treasures at thrift shops. One of my favorite Goodwill purchases as a like-new Tadashi Shoji cocktail dress that I got for $8. Your outfit is so cute and fun! I love the outfit. I used to go shopping at the thrift stores with my daughter and we had the best times. My favorite piece is the jacket! Love the structure in that jacket + the sleeve details. Great find! There are so many good deals when you Thrift! I love this look! WOW! What a find!! Great jacket. Love the detail on the sleeves. It feels great to bargain shop! 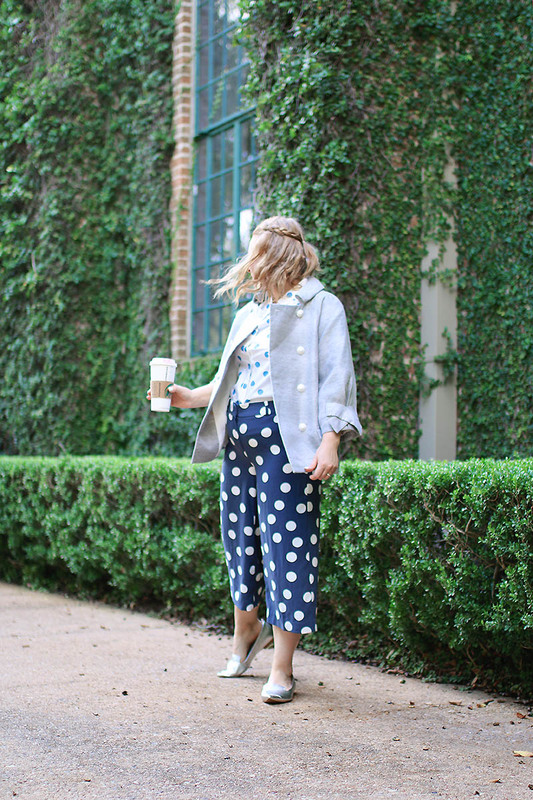 I am obsessed with polka dots- they are so much fun! Great finds! Love the jacket. It’s always exciting to find a good find.. 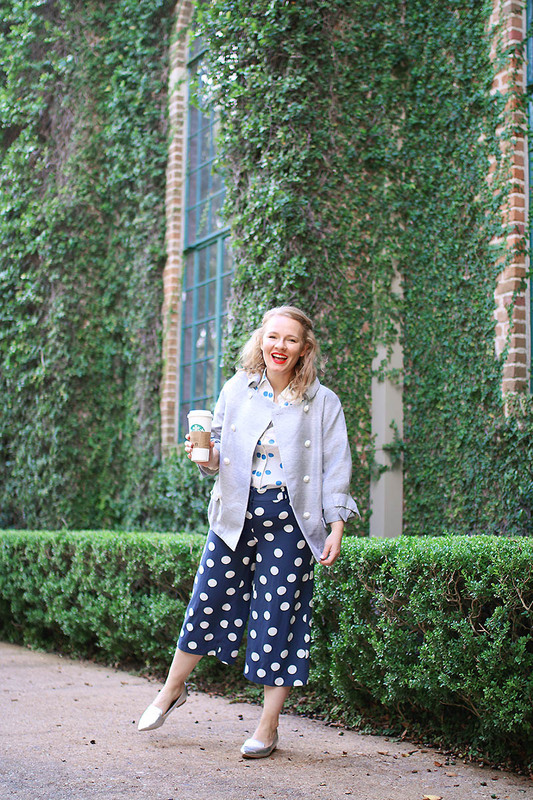 Almost ALL of my clothes are from thrift shops! My friends can’t believe the deals I get! Great outfit and even better deal! Wow! I love the outfit..so cute and stylish. Wow, that is crazy how much you paid vs the retail price! I need to start going thrift shopping again, it’s been awhile. 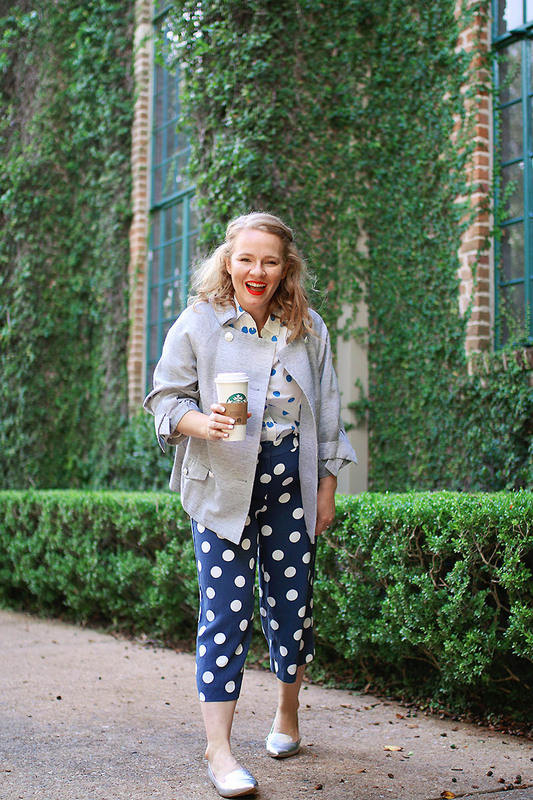 I love the mixed polka dot patterns. Your outfit is lovely. I love the colors. I love this cute style! Nice deals.